In an overnight development, Nandyal sitting MP S.P Y. Reddy defected from the TDP and filed for nomination as a Jana Sena candidate on Thursday. Mr Reddy, who was elected on a YSRCP ticket in the 2014 elections, was the first to ditch the party to join the TDP. In a quick turn of events, Ms Butta Renuka and Mr Reddy, the two sitting MPs, lost their claim to contest as natural preferences in the TDP . While Ms Renuka joined the YSRC, Mr Reddy joined the Jana Sena, much to the amusement of the constituency in Nandyal. 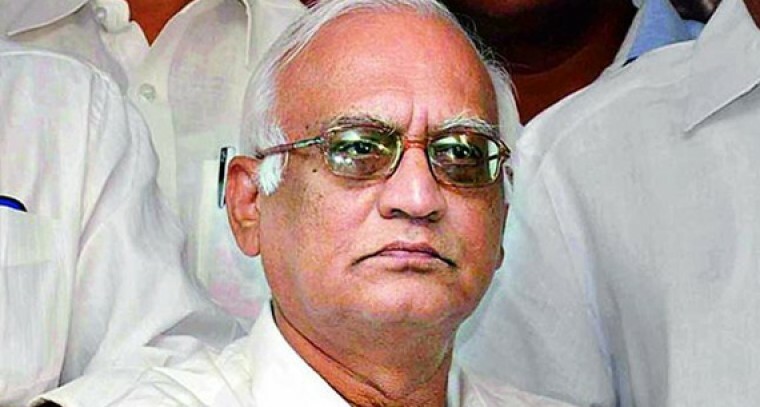 The TDP has fielded Mr Mandra Sivananda Reddy, a former police officer, as its candidate for the Nandyal Lok Sabha seat, while Mr Pocha Brahmananda Reddy is in the fray as a YSRCP candidate. As the turn of events indicates, the YSRCP candidate is forging ahead in his campaign. Mr Bramhananda Reddy is the great-grandson of Mr Uyyalavada Narasimha Reddy and holds considerable influence in Allagadda, Nandyal, Banaganapalle and Panyam constituencies. Mr Bramhananda Reddy is likely to dent the support base of Ms Bhuma Akhila Priya in Allagadda, BC candidate Mr Janardhan Reddy in Banaganapalle, Mr Bhuma Bramhananda Reddy in Nandyal, and Ms Gouru Charitha Reddy in the Panyam constituency. The Jana Sena, with Mr S.P.Y. Reddy as its main leader in Nandyal, will play a “party pooper” affecting the winning chances of both YSRCP and TDP candidates. Mr S.P.Y. Reddy has a committed vote bank in all the seven Assembly constituencies which comprise the Nandyal Lok Sabha constituency. Assembly segments of Srisailam, Nandikotkur, Nandyal, Panyam, Banagnapalle, Allagadda and Dhone, fall under the Nandyal Lok Sabha constituency. Thursday saw a huge turnout of supporters in Nandyal bearing flags of the Jana Sena.